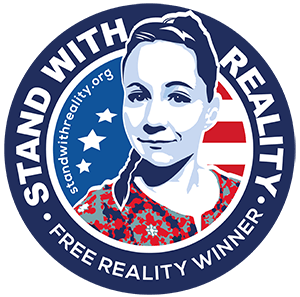 The Stand With Reality support group strongly condemns the court’s unfair decision today to continue the unjust imprisonment of Reality Leigh Winner. Winner faces a March 2018 trial for sharing a classified NSA document with the media that outlined how foreign agents attempted to undermine US election systems leading up to the 2016 presidential election. Winner, a decorated Air Force veteran with no criminal record, who has already served four months in jail despite being convicted of no crime, and displaying every intention to face the single charge against her in court, will now be jailed for at least six more months, regardless of the jury’s eventual verdict. This decision comes in spite of the prosecution’s admission it made false statements and misrepresented evidence in Winner’s original bail hearing on June 8th. Assistant U.S. attorney Jennifer G. Solari admitted she did not listen to the contents of a phone call used as evidence against Winner in her original bail hearing, instead relying on a “verbal summary” Solari later said was inaccurate. Winner has a top notch defense team determined to prove her innocence in court, despite the prosecution’s ongoing campaign to deny her the right to a fair and open trial. The Stand With Reality Winner support group has been the primary source of fundraising for Winner’s legal defense team and is leading public education efforts regarding this precedent setting First Amendment vs. Espionage Act case. There will more staff and cabinet under Donald J. Trump administration indicted, charged,convicted and sent to federal prison than the Libertarian conservative republican President Ronald Reagan administration had. Well said in every way. If someone could be considered a risk for the amount of information they had in their head, none could be considered a greater risk than General David Petraeus, commander of allied forces in Iraq, who provided his biographer-mistress Paula Broadwell with all sorts of information on troop strength and weapons, and he knew a lot more that could harm U.S. troops than Reality Winner could ever know. He never spent a day in jail, and the government didn’t view him as a security risk.